How is an exempt private limited company (EPC) different from other companies? EPCs are distinct from other companies as these entities must have no more than 20 shareholders and all their shares must be owned by natural persons. These companies are exempted from Audit requirements if the turnover is less than 5 million SGD. What minimum requirements does a company need to comply with when registering a business in Singapore? The company must have a minimum of one shareholder. It must have a minimum of one director who is a qualified local resident. Directors must be 18 years old and above and must be natural persons. The company’s director can also be its shareholder. A minimum S$1 paid up capital is required. What is the timeline is incorporating a company in Singapore? Reservation of name. The incorporation process requires a company to reserve a name that it will use in its operation. This process can be completed in less than 60 minutes, but might be longer if the name to be registered is similar to existing business names or it contains words that are deemed inappropriate. Signing and submission of required documents. Registering a company in Singapore requires a number of documents to be signed. The length of time needed to complete this process solely depends on the ability of the company to have the documents properly signed. Generally if you visit our office in person then this step can be done in approximately 1 hour. Once these requirements are met, it will take only a few hours to incorporate a company as the process is computerized and done electronically. Does a company need a physical representative when incorporating in Singapore? It is better to have a representative in Singapore. The incorporation process does not require the physical presence of a company representative as transactions can be done through email and notarized documents can be sent via couriers. Opening a bank account that is related to the Singapore company operation, however, may need an actual person to be present in the financial institution as one-on-one interviews are often conducted prior to approval. Are licenses required before a company can start its business operations? Singapore has very few business types that require license to operate. In general, registration and incorporation with ACRA are the only requirements. If your business falls under the licensing category, you may need to secure a license from relevant government agencies before you start any business transaction. Are shareholders’ and directors’ information known to the public? Singapore’s Registrar of Companies keeps a record of the business profiles of directors and shareholders. This information is available to the public upon request and payment of required fees. I am a foreigner -Where can I get an address for my Singapore company? Companies are required to have a local address registered before they can start their business operations. The address can be anywhere within the country, but post office box are not permitted. Business owners can also use their home address as their base of operation as long as prior approval is secured from relevant government entities, like Housing Development Board and Urban Redevelopment Authority. 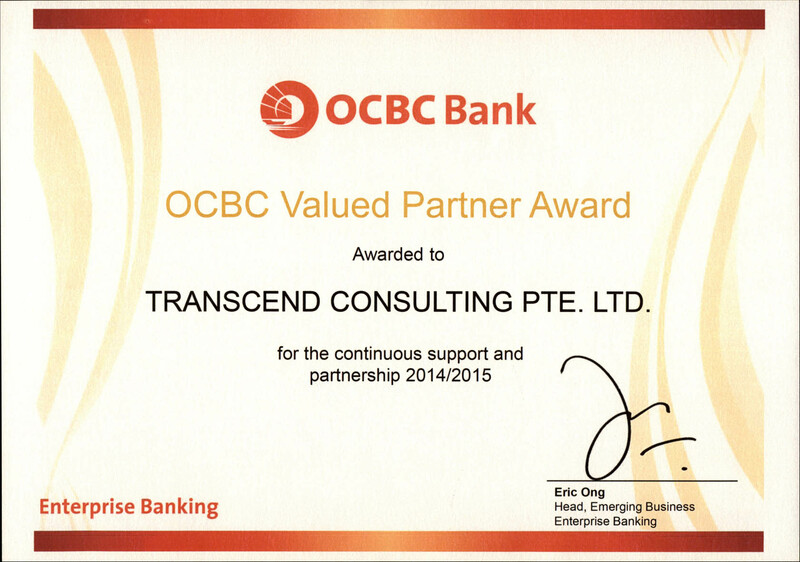 Transcend can provide you registered address for your Singapore entity. In this case all the correspondence we receive in our office for your company will be forwarded to your foreign address periodically. The postage charges will be applicable extra in this case. Do I need to give shareholding to the local Director? The Companies Act of Singapore allows 100% business ownership of any company type operating within the country. Foreigners are also not required to get approval as they are accorded the same treatment as that of local business owners. Therefore you do not need to give any shareholding to the local Director. Can a foreigner relocate to Singapore to run his/her business operations in the country? Relocation is not a mandatory requirement to operate a Singapore company. Foreign owners may choose to manage their companies remotely and visit the country at their own convenience. For those who opt to relocate, Singapore provides foreigners with Employment Pass so that they can personally manage their Singapore business. Decision of approval of pass is with Ministry of Manpower Singapore. Is there a minimum number of employee’s I must employ in my company? Employing a specific number of employees is not mandatory. Many foreign companies operate their Singapore operations without any employee. Companies can employ foreign staff, provided that they comply with the requirements set forth by relevant government agencies. Foremost among these requirements is securing work passes appropriate to the role that the foreign employee will perform, complying with CPF regulations and payment of levies where appropriate. Is audit compulsory for accounts of my company? Who will arrange auditor for me? 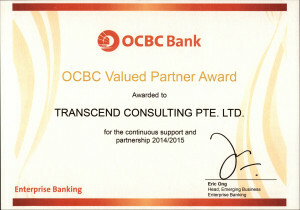 In case audit is compulsory for you, Transcend Can organize auditor for your company. What is the impact of paid-up capital of a company in transacting in Singapore? Usually when the paid capital of the company is high (usually above 10000 SGD) we need a proof from you that the fund are deposited in the bank and only after this proof we can increase the amount of paid up capital for your company. Is the paid up capital money locked in my bank account? No. You can use this paid up capital money for your business purpose. Like for paying purchases, paying salaries and so on. No. unfortunately this is not allowed. The money can be used only for genuine business purposes. It can not be withdrawn for your personal purposes. If you withdraw money like this it can become a conflict of director’s duty to act in the best interest of the company, which is an offence under Singapore companies act. Can I maintain the accounts myself or must I engage your services? According to Singapore companies Act section 199 (4) If accounting and other records are kept by the company at a place outside Singapore there shall be sent to and kept at a place in Singapore and be at all times open to inspection by the directors. So if you wish you can maintain accounts in your home country however the complete set of accounts must be sent to us periodically to comply with above requirement. Tax exemptions given to start-up companies, provided that the subsidiary meets all the eligibility requirements. What additional documents you need while registering the Singapore subsidiary company? A certified copy of board resolution confirming its decision to incorporate a subsidiary in Singapore and the person authorized to act as foreign director of this new Singapore entity. I am not able to decide whether I should go for shareholding in my individual name or in the name of my company in home country. Can you explain the benefits and drawbacks? If the foreign parent entity has many shareholders, then it’s not practical to incorporate Singapore entity with individual shareholding by them. In this case corporate shareholding is obvious choice. In case of corporate shareholding the reputation of foreign parent can benefit the Singapore entity. For example if the parent entity is quite successful with few million dollars turnover, then this reputation can help you in application of business licenses, credit facilities with banks, employment passes and so on. Because of the corporate shareholding audit will be mandatory for the company. This will be added cost. For companies with 100% corporate shareholding the tax incentives are not available. The link between Singapore Company and foreign parent company in this case is obviously clear. This may need reporting of Singapore entity profits in your home country.